When creating a Journey that uses the Data Extension Audience Entry type, you can run into an error "JSON Deserialization Exception - Location Unknown". This happens when there are more than 2 email address data types in the Data Extension and certain steps are followed. If Advertising Studio is enabled in your account, you have the ability to use an Ad Audience Activity in Journey Builder. If you send contacts into the journey that do not yet exist with an Email Address in the All Subscribers list, they will fail out of the Journey. 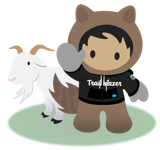 When using SalesforceObjectID output from a Sales Cloud Activity in a JourneyBuilder decision split, all the contacts get sent down the same path even though they should be split. Attempting to add a legacy SMS Message in Journey Builder and editing the message within the Journey or doing a Subscriber Preview will cause the edit screen to get stuck loading.